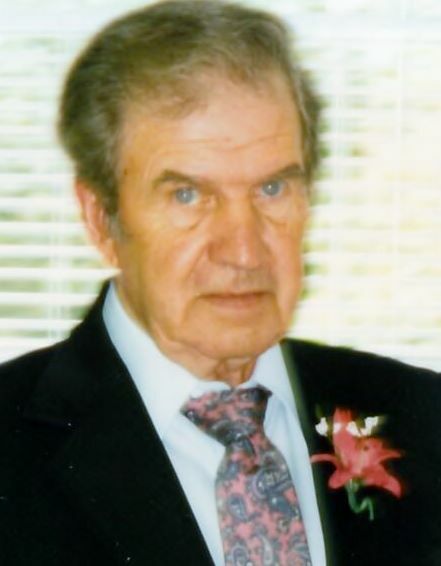 Mr. James "Bud" Plemons, age 91, of Crandall, passed away on February 6, 2019 in Hamilton Medical Center. He is preceded in death by his parents Rev. Charlie and Pearl Plemons, son: David Plemons, daughter: Diane Plemons. Mr. Plemons is survived by his wife of 73 years: Mary Plemons of the residence, son and daughter in law: Ricky and D D. Plemons of Crandall, grandchildren: Brian Sitton, Missy Smith, Jody Frazier, Richey Plemons and LaKeisha Plemons, great-grandchildren: Jacob, McKayla, Noah, Brody, Jordan, Taylor, Cadence, Grayson and Nico. Several nieces and nephews also survive. Funeral Service for Mr. Plemons will be held on Saturday, February 9 at 11 am, in the Chapel of Shawn Chapman Funeral Home with Rev. Bobby Green officiating. Interment will be in Calvary Baptist Church Cemetery. Pallbearers will be Richey Plemons, Jody Frazier, Brian Sitton, McKayla Smith, Steven Smith and Jordan Frazier . The family will receive friends on Friday from 5 until 9 pm at the funeral home.